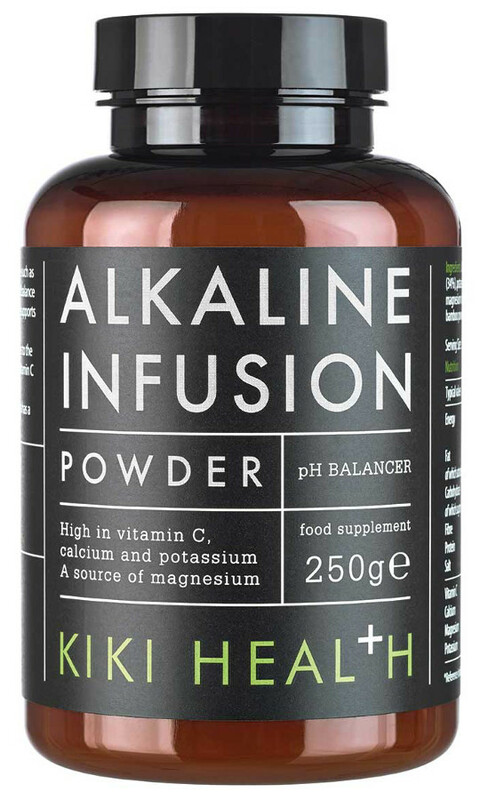 For glowing skin and a healthier you, try this alkaline infusion from Kiki Health. 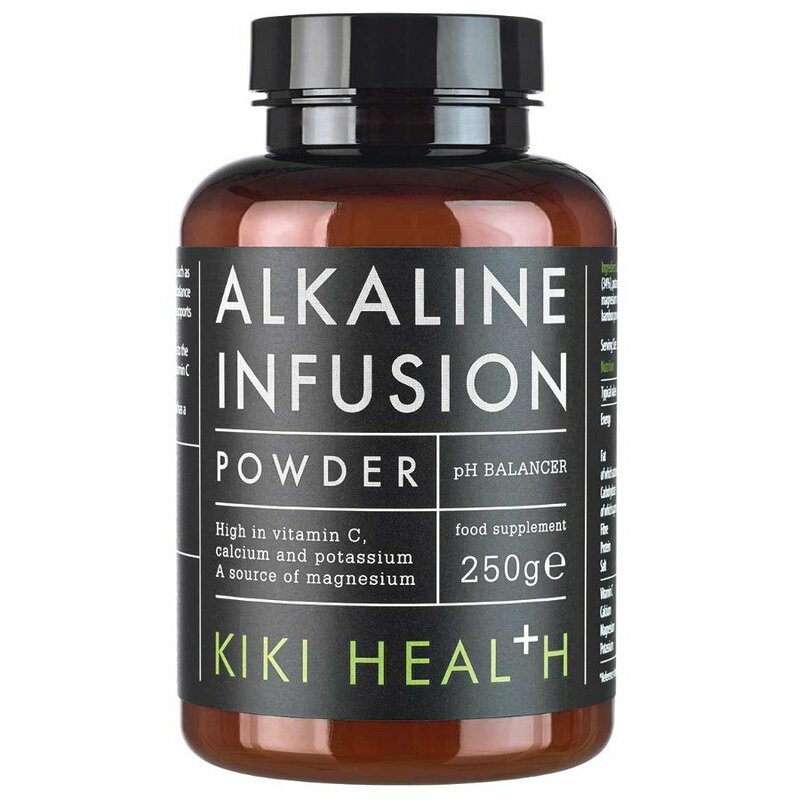 It balances your body’s pH levels, helping to fight free radicals, add elasticity to the skin, boosts your immune system, reduces fatigue and provides an overall nourishing boost. 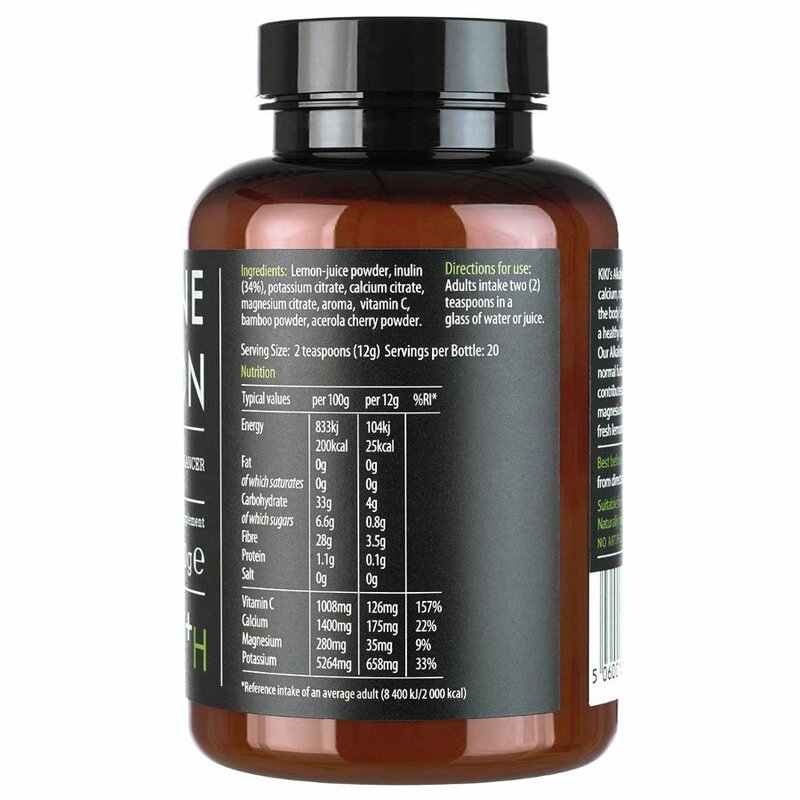 Containing high levels of Vitamin C, calcium, potassium and magnesium, it is a great supplement powder for overall health when consumed as part of a healthy diet and lifestyle. 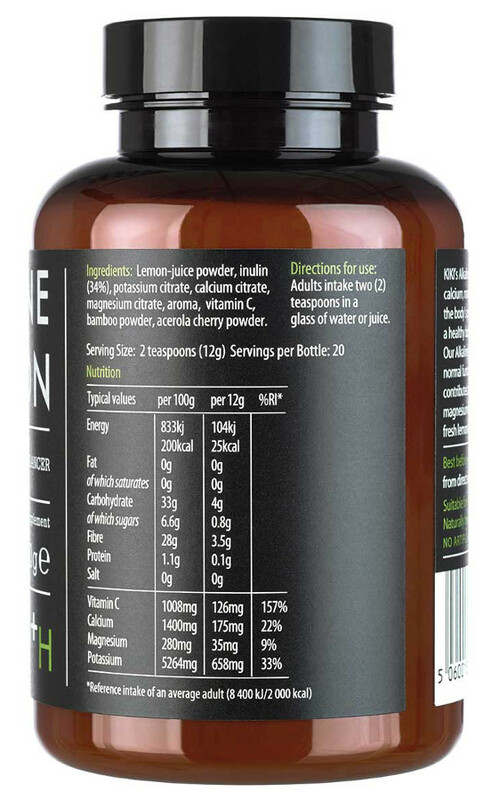 Add to smoothies or mix with water to make a delicious juice. 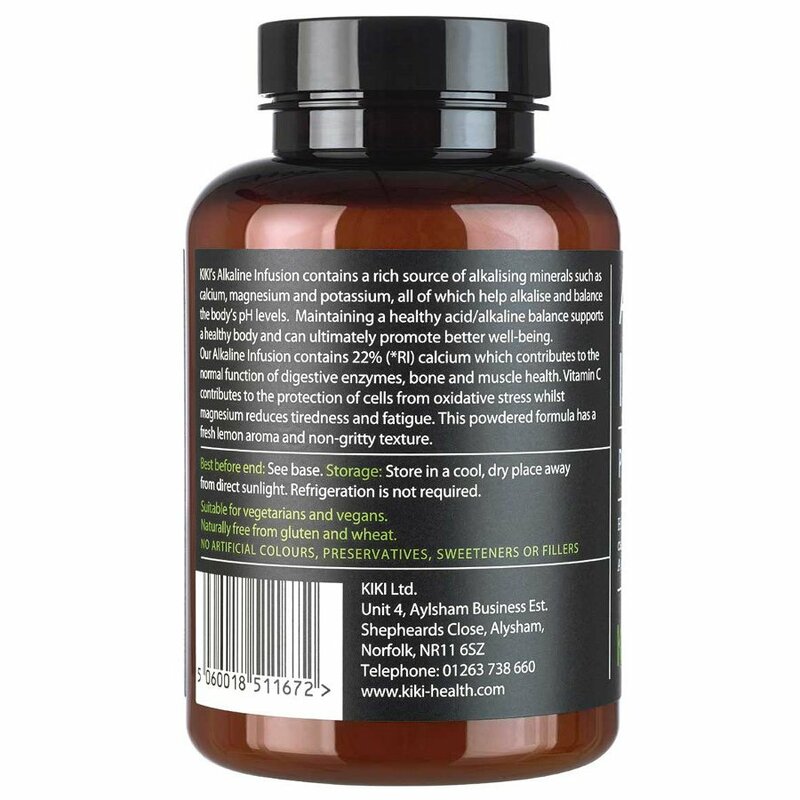 Suitable for vegans and naturally gluten free. 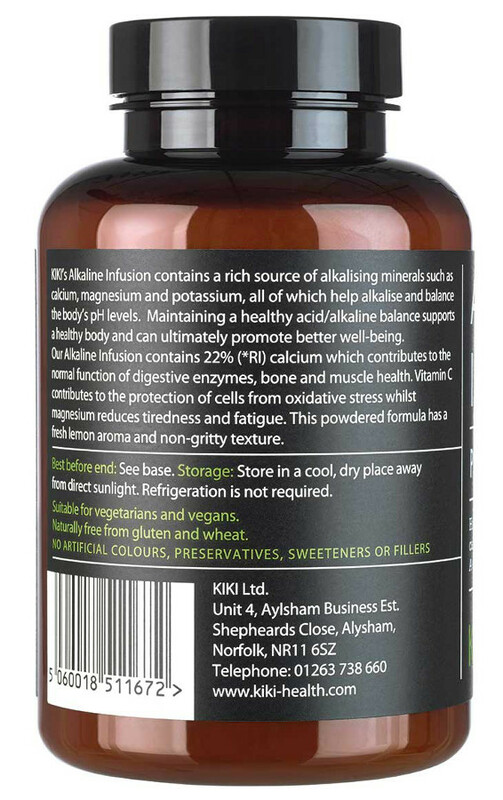 There are currently no questions to display about Kiki Health Alkaline Infusion - 250g.